Why do we give? The simple answer is we believe everything we have comes from God in the first place. We give because we believe God has entrusted us to be leaders for hope in our church and our community. **PLEASE CONSIDER SELECTING THE "COVER FEES" OPTIONS AS YOU GIVE! Why does God want you to excel in the grace of giving? It's because he influences the world through his people. God gives to you so he can give through you. The Bible tells us that everything we have is a gift from God (1 Chronicles 29:14). As you give, God changes you. You become more of what God intends you to be. As you give the world is changed: the gospel is preached, lives are touched, people are fed, bodies are healed, churches are built; and you, in turn, are blessed by God so that you can give again. What is a tithe and how is it different from an offering? The word, "tithe" literally means tenth or 10%. A tithe is the first 10% of your income. An offering is anything you give above and beyond the 10%. Why do we tithe? The Bible says the purpose of tithing is, “…so that you may learn to revere the LORD your God always.” (Deuteronomy 14:22 & 23 NIV) Tithing is a reminder that God is the supplier of everything we have. Tithing teaches us to reverence and trust God. We discover how to trust Him as He supplies our needs. In Malachi 3:10 (NIV), God says this: "Bring the whole tithe into the storehouse, that there may be food in my house. Test me in this," says the LORD Almighty, "and see if I will not throw open the floodgates of heaven and pour out so much blessing that there will not be room enough to store it." This is the only place in Scripture where God tells us to put him to the test. In other words, he's saying, "Go ahead. I dare you. See if you can out-give me." Throughout our lives there are those occasions when God blesses and we find ourselves in a position to make a significant one-time gift to a ministry we believe in. ABT is deeply committed to being good stewards of those gifts that come from hearts of extraordinary generosity.  ABT does not plan the church’s general budget counting on significant one-time gifts. One-time gifts are used to accomplish needy projects that make a significant difference in the lives of those we minister to. One-time gifts are an investment that allows ABT to touch more people for Jesus Christ. Those considering a one-time gift often find value in speaking to a church leader as they pray about a giving decision. If you are considering a special gift, please feel free to call the church at 330-745-8824 and set up a meeting with a church leader to discover how God may use your giving. The use of a credit card for giving should be carefully considered. ABT does not advise using a credit card unless the card will be paid off monthly without interest. We only offer the use of a credit card as a convenience to those who intend on paying it off immediately. Your estate planning decisions determine your final acts of stewardship as you move from earth to heaven. All Christians are called upon to be good stewards and should make plans to manage their estate when they no longer can. Those wishing to include the church in their Will should seek legal advice from an attorney and estate planner. Even if you already have a plan in place you should take a fresh look annually through the lens of your stewardship responsibility and make sure your Will is directing your Estate in a way that expresses your desires.